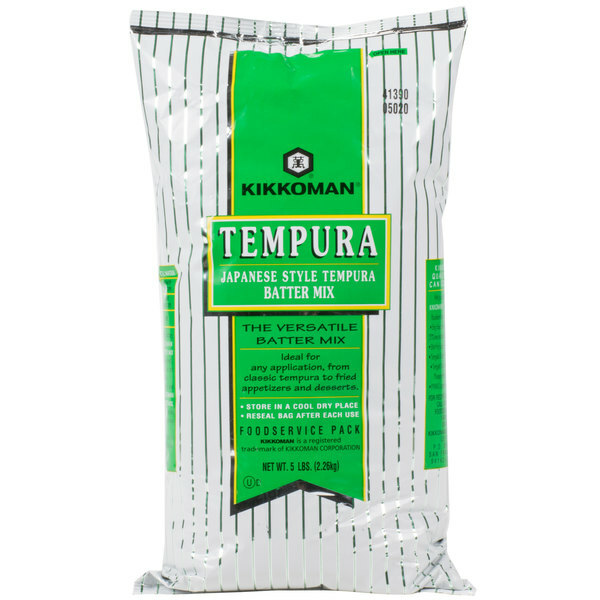 Create classic tempura dishes with this Kikkoman Japanese-style tempura batter mix! 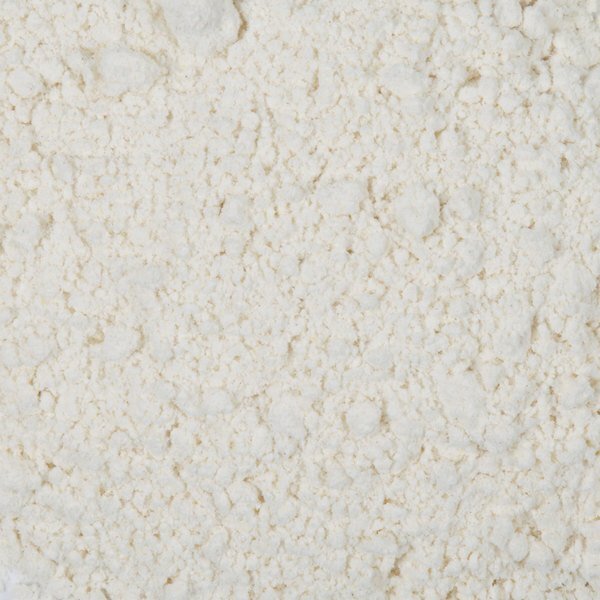 This mix will save time making your own batter from scratch, and it's easy to use. Simply add water to create a rich, smooth batter for your fried foods. With this mix, you'll be able to make consistently great-tasting tempura batters for all of your recipes, and produce fried chicken, shrimp, and vegetables with crispy tempura coatings. 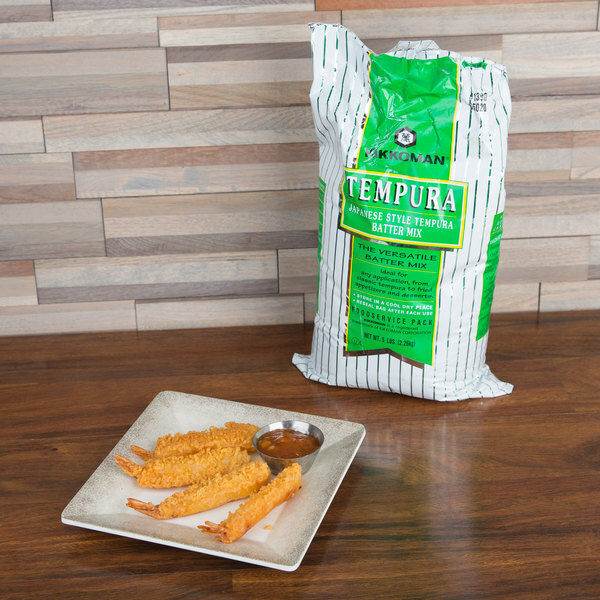 Made with wheat flour, corn flour, eggs, and salt, tempura batter has a light, neutral flavor that's great for seafood and lighter menu items. 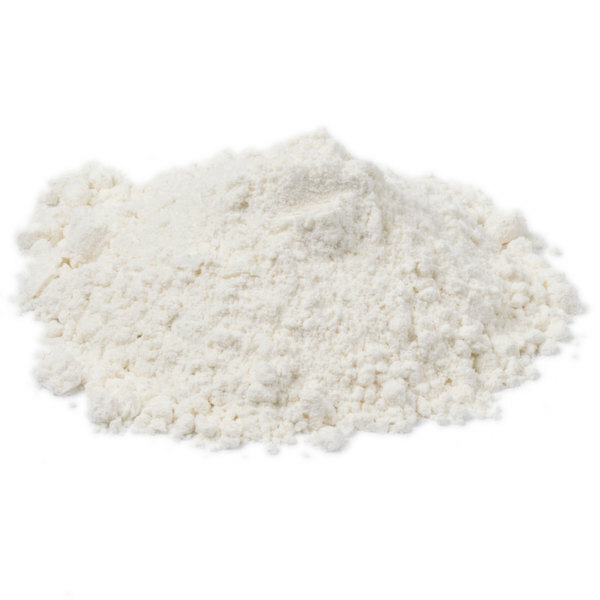 Tempura batter enhances your fried foods with a unique coating that appears light and delicate. Popular with shrimp, it's also great for sushi, broccoli, and more. Tempura has an attractive golden color and a crispy texture that is designed to resist sogginess and keep your foods crisp! Offering a wide range of soy sauce and other Asian-style products, Kikkoman is a recognizable brand for your Asian-inspired restaurant, noodle restaurant, or cafe! Kikkoman provides authentic taste made from quality ingredients, so you can make authentic Asian-style meals or enhance mainstream American foods with new flavors. Nice batter mix, works well for its job, a trick is to always use ice water, and use it right away, otherwise it goes flat. I absolutely love this stuff and I’m thrilled I found it at such an economical price and in a large quantity because we use so much Tempura batter which I previously, always paid $2-$3 bucks for a 10 ounce box from the grocery store. 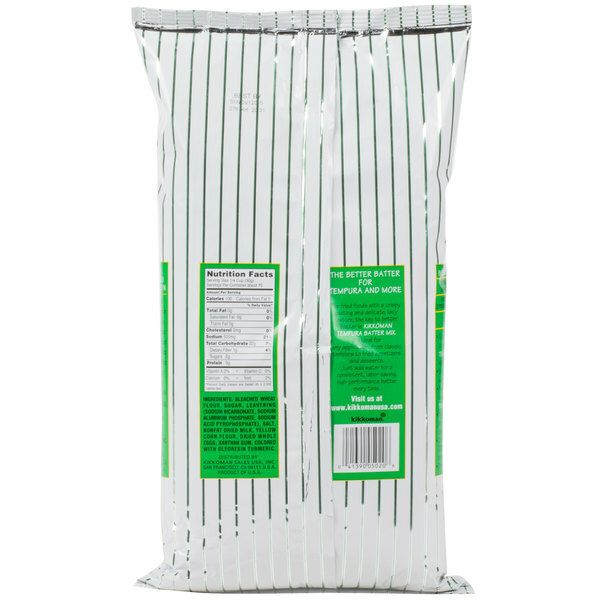 I use it for all of our fried foods, from chicken to fish to mushrooms to onion ring to just about any fried vegetable. I always dry and lightly dust the items with regular flour first which makes the Tempura batter adhere even better. This was a super buy for us. We love deep fried veggies and fish. We buy the oil here from WEBSTRAUNT and then plate it all up for us and friends. Never got a bad view when we use this Tempura Batter. It stores fantastic in the white container and lid also purchased from WEBSTRAUNT. Love these tempura batter mix that is great for coating our items for our sushi. The batter mix is great and really sticks well to the meat. The only brand of tempura batter mix we use. The mix is easy to whip up and has a great flavor. It sticks well to the items and fries up beautifully. This is the easiest way to make tempura dishes. Just mix water with this Kikkoman batter mix and dip shrimp, vegetables and/or other things in it. And it doesn't crumble in the fryer is it is wonderfully good. 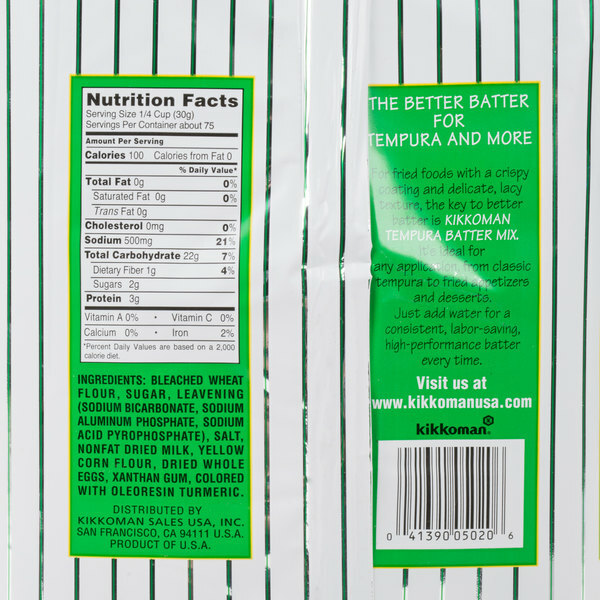 The Kikkoman 5 pound Japanese style tempura batter mix is a great value and awesome batter mix. It is easy to mix up a batch and dip our items in to fry. This mix is excellent -- one of my favorite finds at Webstaurant! It mixes up extremely easily and is very straightforward to use. It makes for the best onion rings. This is a good batter mix. It's convenient to have on hand and easy to use. It has a good flavor and is perfect for thicker breading such as on onion rings or even a big onion. Fried up some broccoli, green beans and mushrooms and they came out fantastic. Who said eating your veggies couldn't be fun! Lol. I have to give some shrimp a try next. Great tasting batter! I purchased this batter to be able to make fried ice cream at home and I’m glad I did! It tastes just like restaurant quality fried ice cream! Love this tempura batter mix works really great for my tempura ebi calmares and more. I gonna by more soon. This is 5 lbs bag !! !